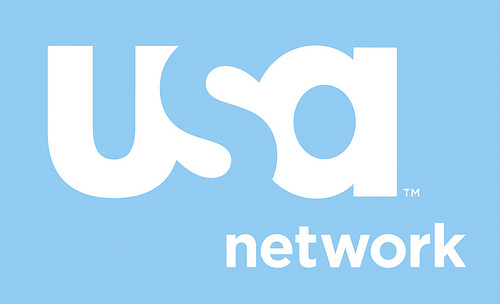 USA Network has announced the upcoming summer premieres of new and returning series — Royal Pains (season seven, June 2nd), Chrisley Knows Best (season three, June 2nd), Complications (series debut, June 18th), WWE Tough Enough (season six, June 23rd), Mr. Robot (series debut, June 24th), Suits (season 5, June 24th), Graceland (season three, June 25th), and Playing House (season two, August 4th). NEW YORK, NY – April 7, 2015 – USA Network will roll out one of its largest slates of summer premieres ever, with a total of five original dramas, two reality series and one comedy. Season three of CHRISLEY KNOWS BEST promises even more over-the-top Todd Chrisley moments, as he and his wife Julie continue to raise their two teenagers, Chase and Savannah, eight-year-old son Grayson and two-year-old granddaughter Chloe – all under one roof. The 18-episode third season will air in two parts with 12 episodes this summer. This techno thriller follows Elliot (Rami Malek), a young programmer who works as a cyber-security engineer by day and a vigilante hacker by night. When the mysterious leader (Christian Slater) of an underground hacker group recruits him to destroy the firm he is paid to protect, he must make the decision of a lifetime. MR. ROBOT also stars Portia Doubleday (“Her”), Carly Chaikin (“Suburgatory”) and Martin Wallstr�m (“Simple Simon”). What do you think? Do you plan to watch any of these new or returning USA shows this summer? More about: Chrisley Knows Best, Chrisley Knows Best: canceled or renewed?, Complications, Complications: canceled or renewed?, Graceland, Graceland: canceled or renewed?, Mr. Robot, Mr. Robot: canceled or renewed?, Playing House, Playing House: canceled or renewed?, Royal Pains, Royal Pains: canceled or renewed?, Suits, Suits: canceled or renewed?, WWE Tough Enough, WWE Tough Enough: canceled or renewed? I am happy that Royal Pains, Suits is coming back. I am still very happy that Coverts Affairs should not have been cancelled just like that. I would like to see it come back and end the show the right away. USA really should listen to the fans. Because without us fans they would not have anyone would be watching their network. Want to know why popular White Collar was canceled; it seems like all these other shows are just as expensive to produce. They don’t seem to have been shuffled to different time slots each season. Does USA still hold the rights to the show or can another network do WC in Paris?